Home / What’s Your Story? I just listened to Michael Novelli do a YS session on the narrative gospel. It makes me long to lead my group into the larger story, God’s story. How does our activity reveal God’s plan to the world? What story does our youth group meetings tell about God? I had a chance to do a short e-mail interview with Michael Novelli on his last book Shaped By The Story. Here it is 1. Where should a youth leader begin if they want to shift from “come to the program” to live the story? This is not an easy shift. Moving from a programatic, top-down ministry approach to a collaborative learning environment takes a completely new approach. Youth workers should not try to make this change without really understanding and owning this new approach. I would encourage youth workers who are interested in this to research it, read about narrative theology, Bible storying, and dialogical approaches to teaching. 2. 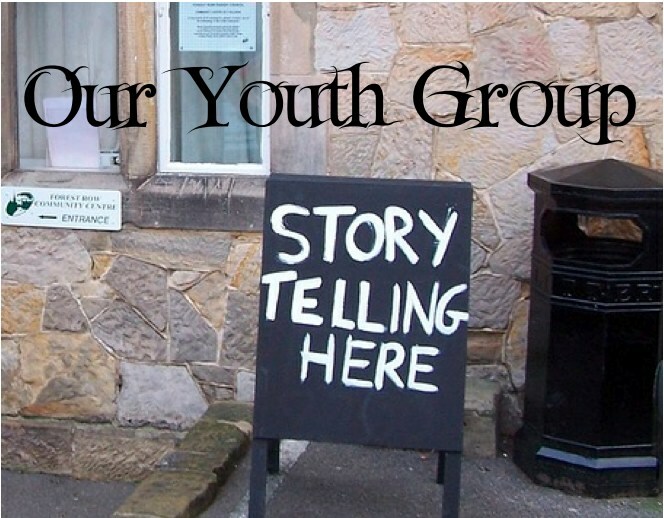 How can a youth leader get parents and volunteer staff on board the shift to story? I think the best way to gain ownership of parents and volunteers is to share your heart. Try Bible storying with students for a few weeks and get their feedback. Take this feedback to the parents and volunteers. Do a Bible storying session with parents and volunteers so they can experience how dynamic it is, and discuss concerns and questions. Wow… this is a tough question to answer in an email! I like that you used the word journey to describe the process of one giving themselves to Christ. To truly give our lives to Christ, we have to come to a realization that God desires to save us into a Kingdom activity, not just save us from ourselves. What I have striven to do is help students be captured by God’s story and find their identity and purpose within that story. Instead of thinking of a student coming to Christ, it is more like Christ comes to them through the Biblical story, and they see their lives as part of something bigger than themselves. 4. What kind of “do it today” list would you offer if a youth worker said , “I’m in”. This goes back to my answer to question 1: I think youth workers need to make sure they know what they are getting themselves into when they reorient their ministry to a Storying approach. It is not merely using a new curriculum or telling stories and asking pointed questions. It is a challenging process of building a new learning environment and helping students to take responsibility for their own learning. Once a leader has a sense of how this process works, they should begin trying it and experimenting. Adapt the process and try different creative approaches to retelling and replaying the stories. Get students involved and let them shape it. I recently did a storying session based on the arrest of Jesus, in John 18. The students jumped right in and some amazing things came out of it. One students said of Jesus: “He was like a shepherd giving his lives to the wolves so the sheep could run away.” This was 15 minutes well spent. Michael offers a few links on storying. please visit his website @ www.echothestory.com Here is his Amazon Link to other story telling resources Look for his new book Here and Here along with other resources I recommend You can read a review of Micheal’s book Here by Lars Rood Have a great week everyone.